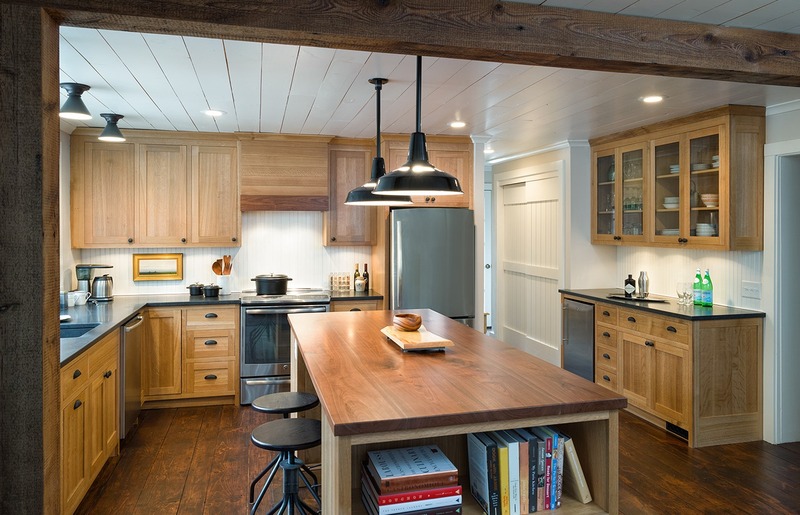 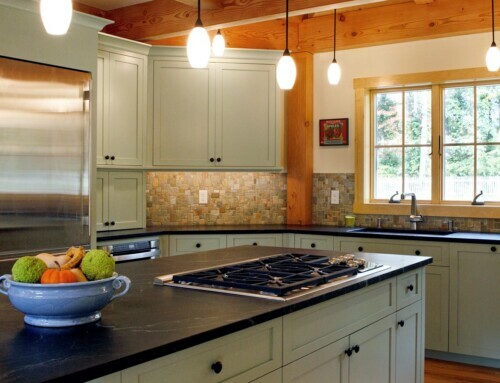 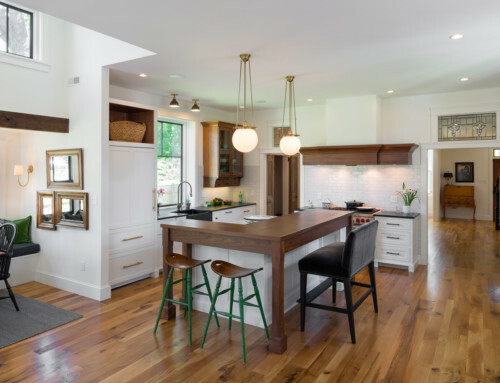 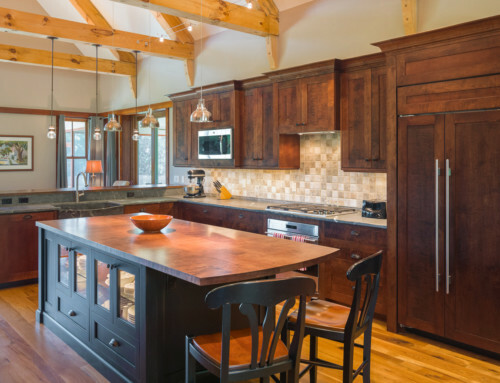 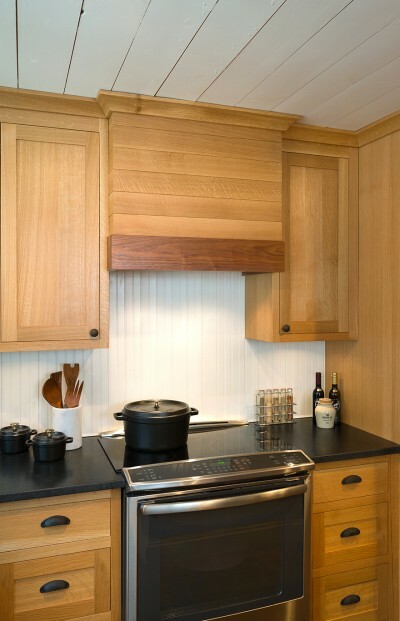 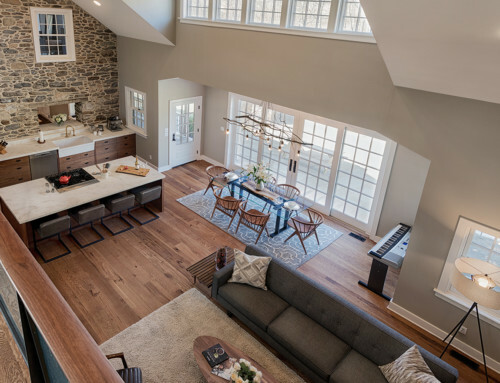 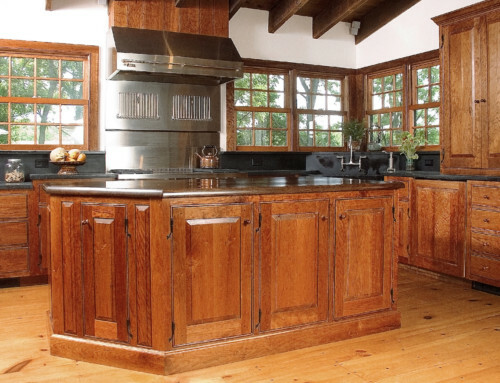 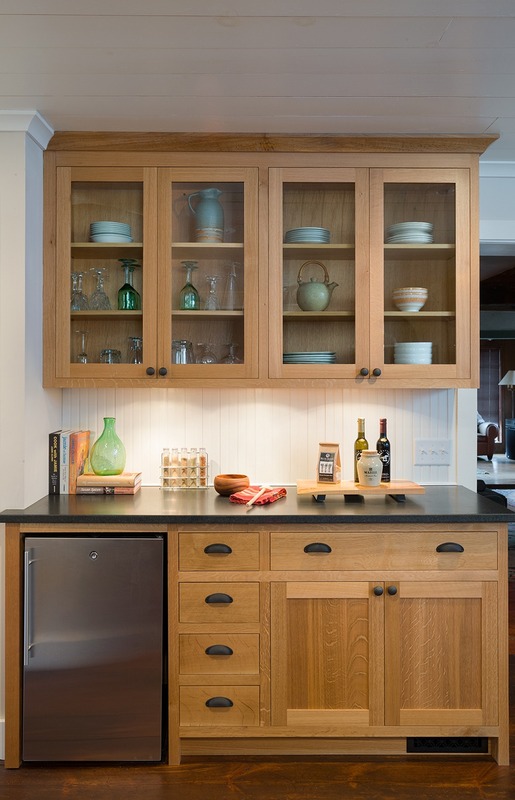 Kintnersville Kitchen · Nationwide custom architectural millwork company. Custom built kitchen featuring white oak cabinets, contrasting black granite counter tops, warm toned walnut island counter, and white beadboard backsplash. 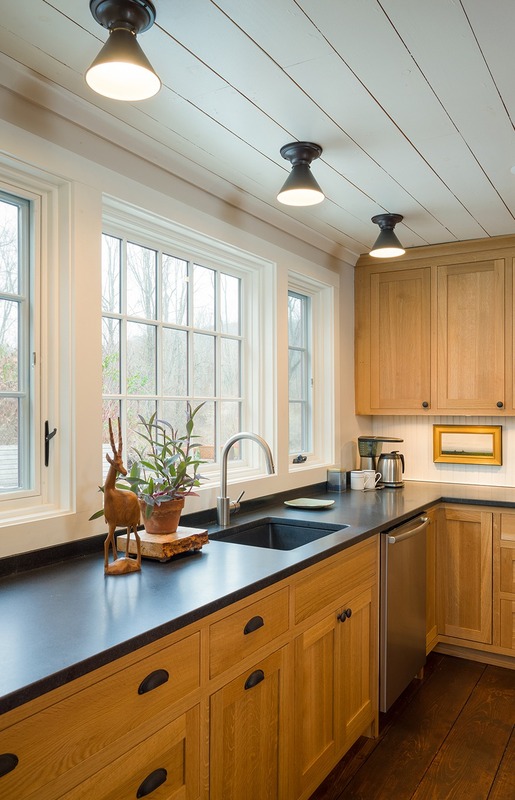 Windows across one wall flood kitchen with natural light.